Ships tomorrow if you order in the next 16 hours 6 minutes. Cognitive health is important at every age, but may become increasingly important as you get older. A healthy daily diet provides many of the vitamins, minerals, and other nutrients that your body needs to maintain health and wellness, including healthy cognitive function. However, if you're looking for a little extra boost, Pharmax offers a product you might want to take a look at. 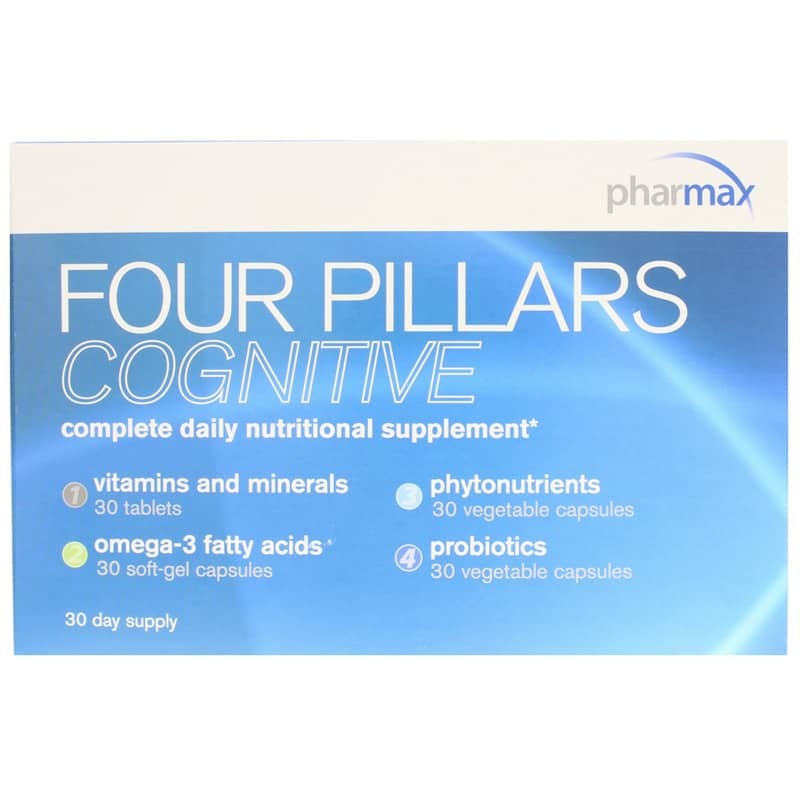 Four Pillars Cognitive is a professional-grade dietary supplement that provides broad-spectrum nutritional support for cognitive health and function on a daily basis. 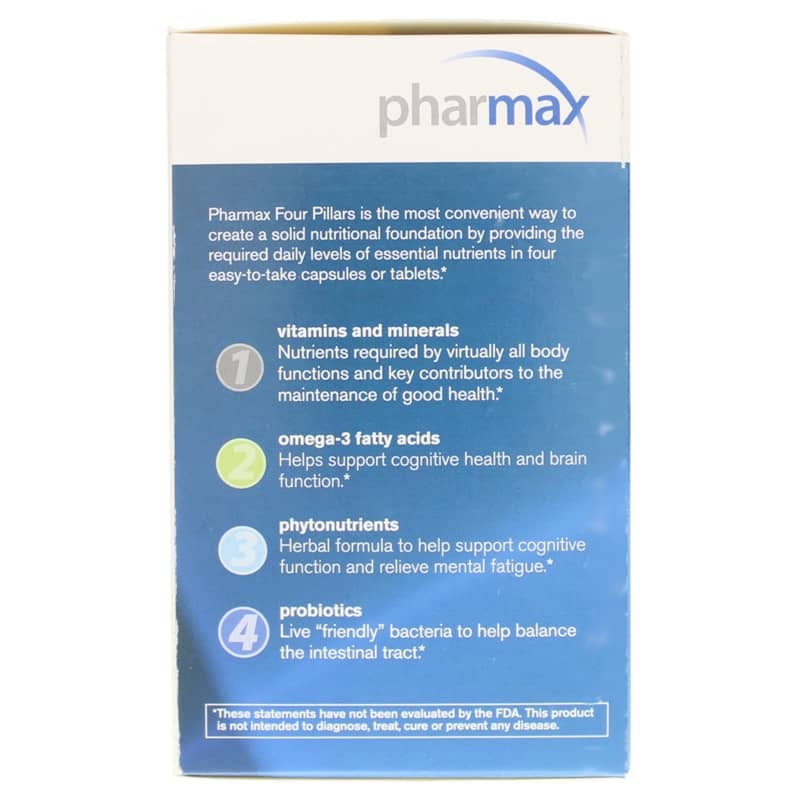 Every batch of Four Pillars Cognitive from Pharmax is absolutely free of gluten and contains no dairy. One serrated blister pack strip is meant to be taken every day with a healthy meal. Be sure to take this product at least two hours before or after taking other medications, and do not take right before bedtime. Keep your mind sharp the all-natural way. Give Four Pillars Cognitive a try today. Order now! Other Ingredients: Cellulose, hypromellose, croscarmellose sodium, ascorbyl palmitate, silica, glycerin. Other Ingredients: Fish gelatin (tilapia, striped catfish, nile perch, carp, shad, grunt, catfish), glycerin, orange oil, natural mixed tocopherols. Other Ingredients: Hypromellose, silica, ascorbyl palmitate. Adults: Contents of one serrated blister pack strip: 1 tablet, 1 softgel, 1 capsule (brown), 1 capsule (off-white), all taken once daily with a meal, at least two to three hours before or after taking medications, or as professionally directed. Not to be taken immediately before bedtime. 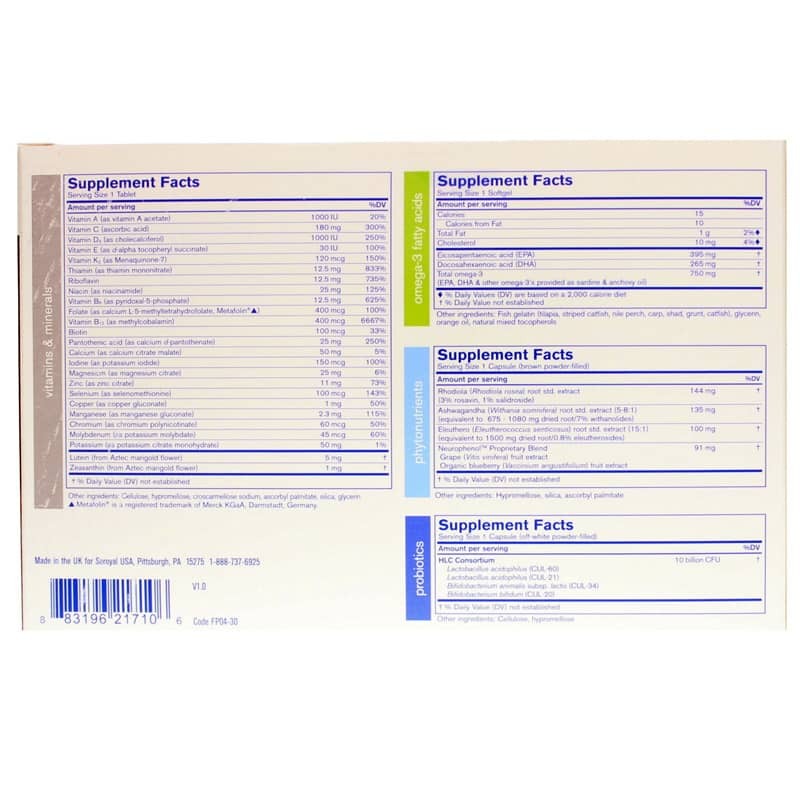 Do not use if you have an immune-compromised condition, bipolar disorder, bipolar spectrum disorder or high blood pressure. Consult your healthcare practitioner prior to use if you are pregnant or breastfeeding, taking any prescription medication including blood thinners, antidepressants, birth control or hormone replacement therapy (HRT), have any type of acute infection or any health condition. Consult your healthcare practitioner if you have benign prostate hypertrophy or prostate cancer. Consumption with alcohol, drugs or other supplements with sedative properties is not recommended. If symptoms of digestive upset occur, discontinue use and consult your healthcare practitioner. If you experience irritability or insomnia, discontinue use. Keep out of the reach of children.